18 Rolling Road Stafford, VA. | MLS# VAST209332 | CTI Real Estate, CTI Property Management, and CTI Relocation: Fredericksburg, Richmond, Manassas & Northern VA (NOVA) Homes for Sale. Rental-Property Management Services. Government Relocation Assistance. Real Estate Classes. Homebuyer & Seller Seminars. OPEN HOUSE: Saturday and Sunday, 2-4 pm (4/27 & 4/28)! 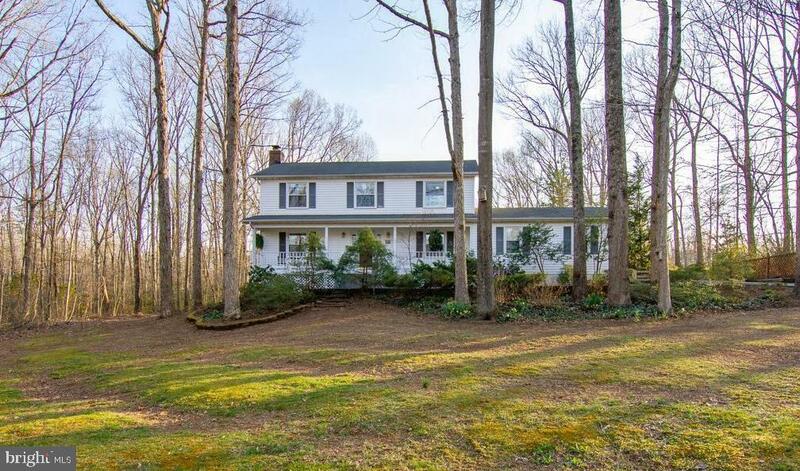 Enjoy the best of Virginia in this renovated colonial situated on a large wooded lot at the end of a cul de sac. The wide front porch is perfect for bird watching or sipping your favorite beverage year-round. Modest and traditional on the outside but filled with bright and updated features. This beauty boasts lots of delights from the large "modern meets farm" style kitchen to the living room with brick fireplace and wood floors. The library/office off the entrance is the perfect place to curl up with a good book. Bask in the warm glow of the natural light that fills the sunroom. The upstairs features 3 bedrooms and 2 full baths with laundry, perfect for cleaning up and recovering from a day in the great outdoors! The fenced backyard is surrounded by woods. The acre-plus lot is ideal for a game of football or soccer or gardening. This house has something for everyone. NO HOA and plenty of room for toys! New in 2018: whole house water filtration and new septic. Home comes with warranty.